@Norberto: Yeah I'll definitely do something about the respawn. Dash certainly will allow you to go through walls, but yes, you're not supposed to attack enemies through walls, I haven't added the code for that yet (and probably not for some time while I work on other features first). Will look into about that bug with the attack input on the rapier you mentioned, thanks! This combat demo is still barebones bat what's there is solid (and also looks very pretty). I like how smoothly the character moves and I'm very curious to see where you're gonna take the gameplay (but please add some kind of respawn). There's not much else to say so I'll just list a few possible bugs: The character can dash through walls (which I presume is correct because, you know, ghosts) but if you stand behind one enemies that get too close to the other side can hit you and noclip through. 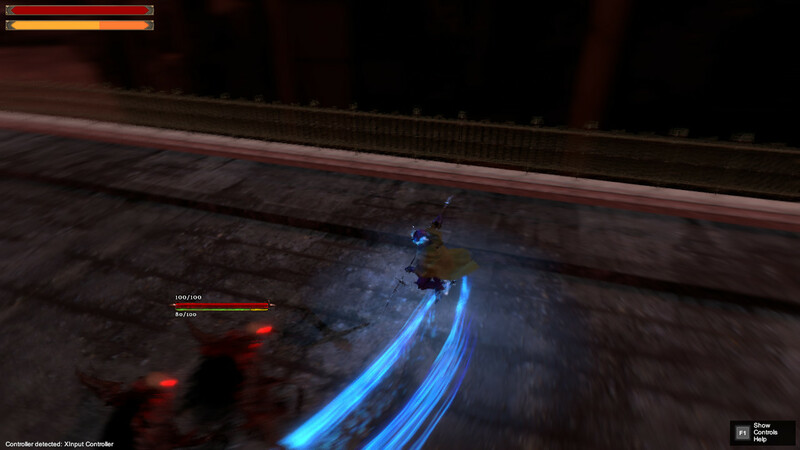 Also I found out that if you hold both mouse buttons and let go RMB after the spear attack, you can sometimes instantly chain a strong rapier attack. Keep it up, it looks very promising! @crabowitz: Yeah, there's a delay between dashes. He's not all the way powerful because he's suffering from a terminal illness. But perhaps an upgrade to the dash that you can unlock later on, I'm ok with adding such a thing. About the weapon combos, yeah, there's not much differentiating rapier and spear right now. Rapier is supposed to allow you to parry incoming attacks, while spear will allow you to impale enemies, but I haven't implemented those yet. 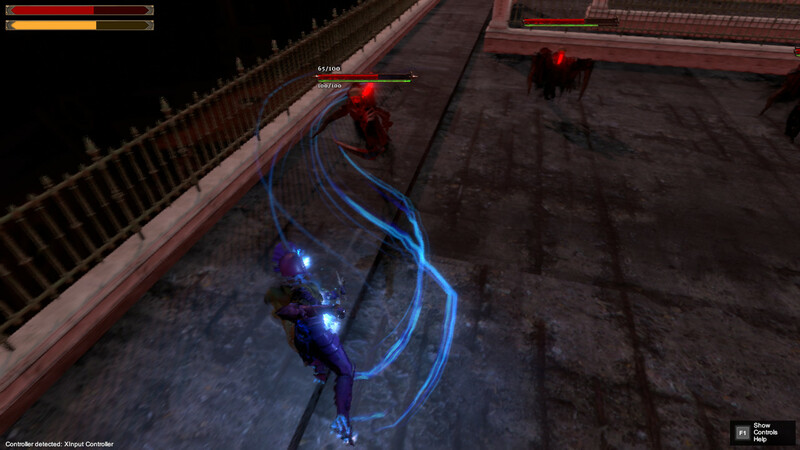 I'm now planning on removing the rapier's ability to hit stun the enemy and lower its attack damage since right now it's too useful (it's just as good as spear in terms of dps and yet it's faster and keeps the enemy in hit stun for longer). Pretty nice. My biggest gripe is no reseting i mean come on dude. I feel like if you are going for the henshin hero genre, you could remove the delay after dashing and go full "H-He's fast!" since it takes up so little stamina. I played this on a KB+mouse and don't know how it works on an gamepad, but really like that LMB, RMB, and LMB+RMB are all different attacks. seems like a lot of potential combo mixups, but right now id say the spear is better. Good demo. @Sinoc: The "life sim" part doesn't have any plans at this point, other than that I'm aiming it to be like in Persona where you do activities per day, have responsibilities to attend to, etc. but instead of being a high-school student, you're a guy in his mid 20's working on a job. Solid foundation. Combat's pretty basic and I can't tell where all this life sim stuff is suppose to fit in, but what is in there is pretty good. Runs at a full 144 fps on my machine (specs) for comparison. @Rokas: Will work on that, thanks for the feedback! Even with all fancy graphics settings disabled I was getting something around 20 fps I'd estimate. I'm on a toaster. No restart kills any motivation to retry this game where dying is part of learning.